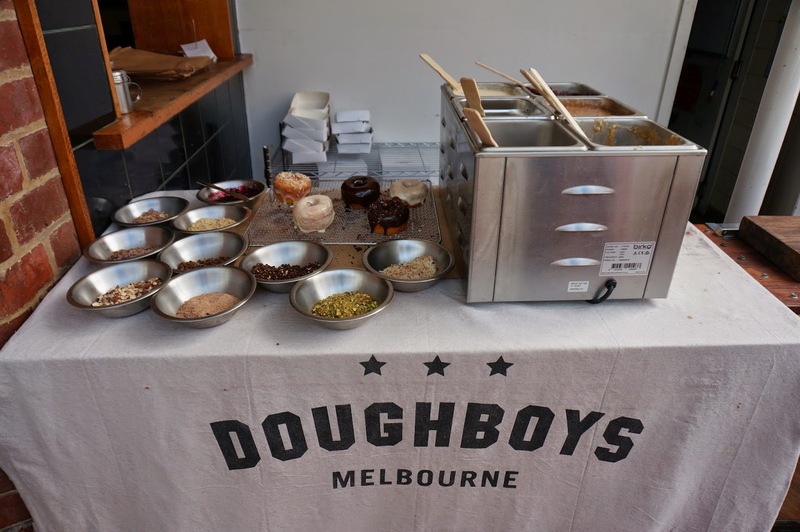 Always a fan of the carb and of the donut, I trundled along to the semi-hidden leafy rooftop establishment which housed Doughboys (after hitting Queen Vic’s first of many monthly art markets, NEW CRAFT @ Queen Victoria Market). The set up was simple but effective, the display already setting my tastebuds in motion. We opted for a box of four ‘cos YOLOSWAGYOLO (and we couldn’t choose just one flavour). Doughboys Donuts ($5.80) are not American Styled a-la-Krispy Kreme, but more a hulking dense doughnut on the mildly sweet side. Now they don’t come out hot (at least mine didn’t) so they’re not like the other American Donut stand at Queen Vic churning out hot jam donuts to the waiting masses, but they are big and tasty, but only with the toppings. 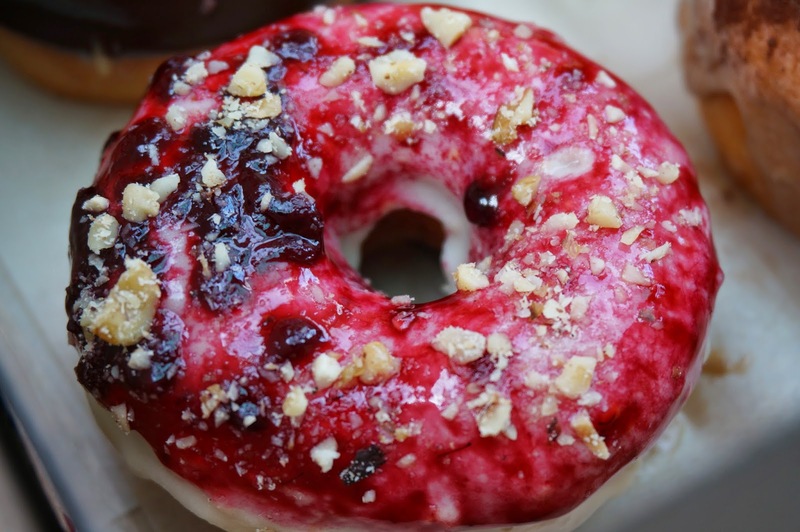 The PBJ is a double dip favourite of peanut butter and fresh blueberry jam, finished off with roasted and crushed nuts. This was the sweetest in terms of the jam dip with berries, but I wished it had been dunked more. Next up was Monkey Magic, a concoction of roast banana churned through Callebaut White Belgian chocolate icing with melted milk chocolate and Monsieur Truffe cocoa dusting. 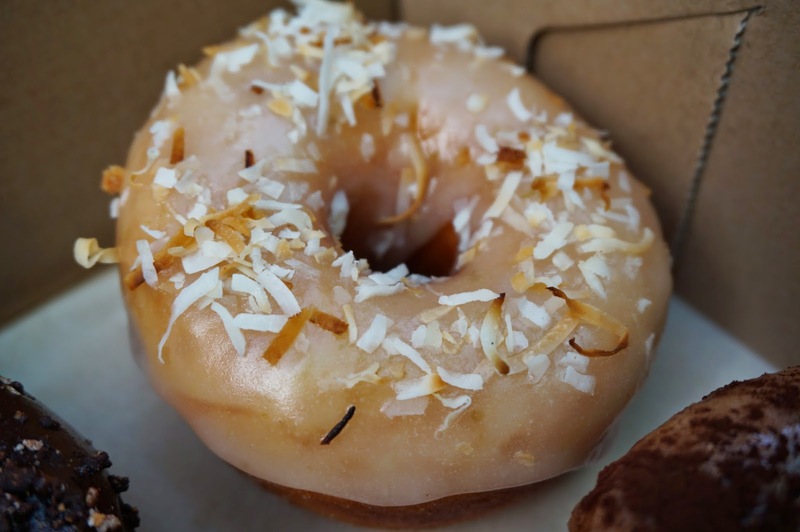 Yeah, it was as good as it sounds; my favourite donut of the day. You definitely got that taste of banana biting in, and chocolate always goes so well with banana. The Charlie Brown chocolate pretzel and toasted nut brownie mixed into a Monsieur Truffe cocoa icing was decadent to say the least. I did want lots more brownie though, instead of the crumbs they sprinkled on top. 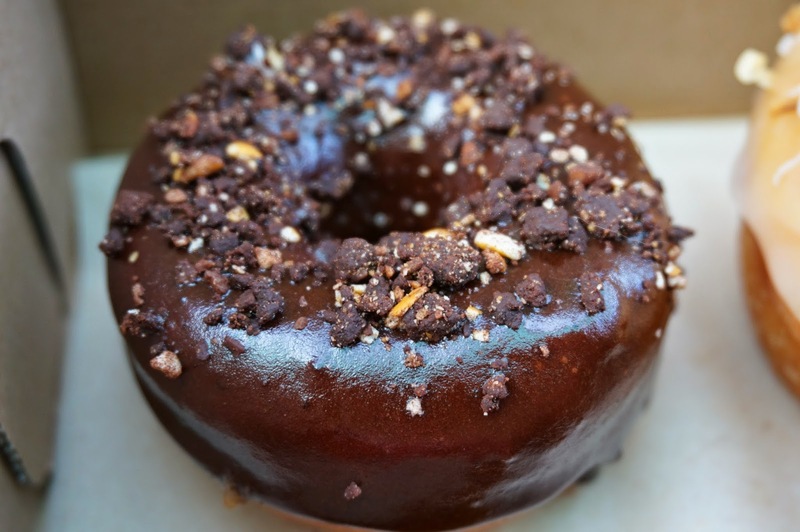 I was expecting to get the brownie mixed into the donut batter, now THAT would be epic. Lime Toast was a lovely subtle lemon and lime zested icing with toasted coconut, it was the tamest of the four but definitely had a nice kick to each bite. 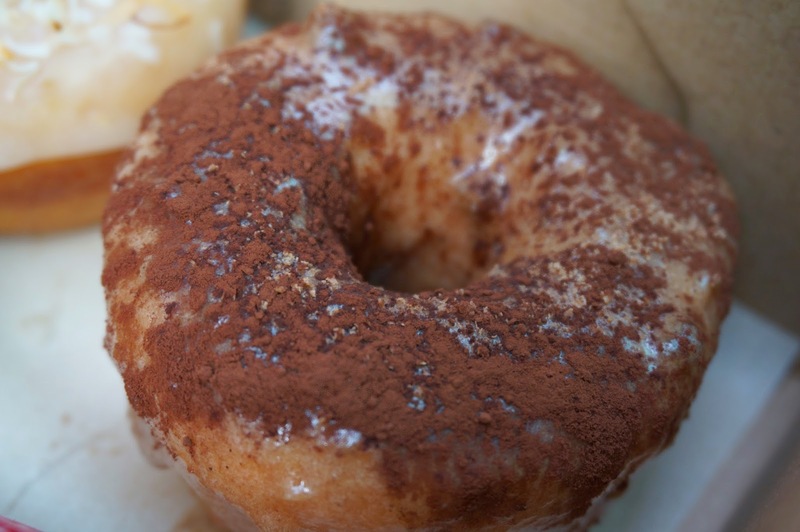 Surprisingly enjoyed this one, which shows you don’t need chocolate lathered onto your donuts to enjoy them! 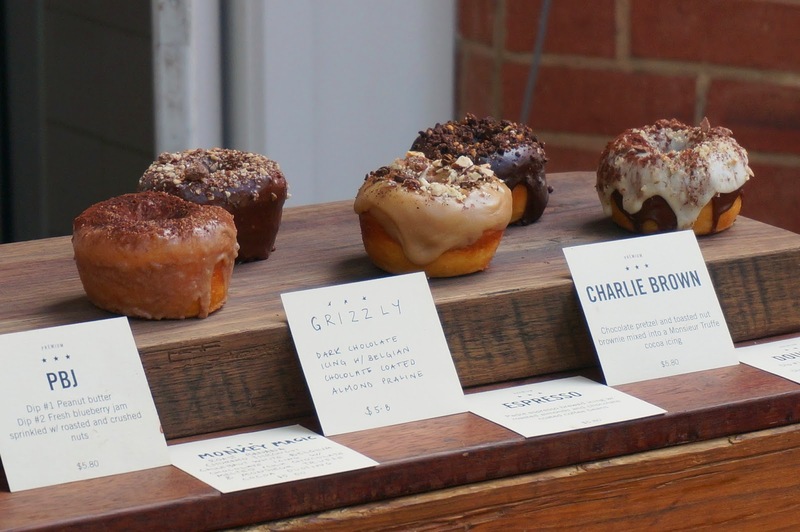 TL;DR Get in early to get your donut hit, I’m hanging out to try Maple Bacon and Turkish Doughlight.